I bought this novel, along with Simon Mawer’s The Glass Room, because they were part of a nice point of sale display in my local bookstore containing the 40 years of Abacus special edition books, and had lovely covers. Shallow of me, I know, but really sometimes that’s all it takes. Which is why I don’t let myself in bookstores very often. Anyway, I digress. 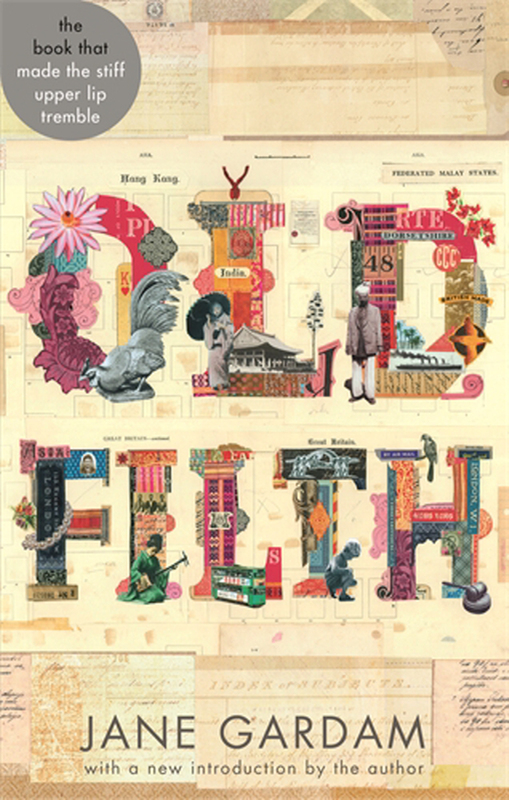 Old Filth.Essentially Old Filth (FILTH standing for Failed in London Try Hong Kong) tells the story of Sir Edward Feathers, a retired judge who, having spent most of his long career in Hong Kong, has now retired to Dorset with his wife. At the beginning of the novel he loses his wife suddenly to a heart attack and that is when he starts to unravel and we get the extended flashbacks to his childhood and early career. Born a child of the British Empire, a Raj orphan who is then shunted off to Wales, where he suffers dreadfully at the hands of his sadistic guardian before escaping that life to go to a boarding school where he is happy, Edward’s life arc appears to be as unpredictable to him as it is to the reader following his story. At the mercy of the whims of family members who have jurisdiction over him till he turns 18, then the war and the army, then his career, Edward seems constantly surprised by where he is in life. But he is no Paul Pennyfeather. Everything good that happens to him is a result of him showing kindness or understanding to someone in need that he has come across. But he isn’t a goody-goody either. Oh, it’s really hard to explain. Suffice to say, I loved this book. Got to the end and wanted to read it again. I still can’t really tell you why; the writing was strong but not wow, amazing; the characters were well-drawn but most of them weren’t very likeable; the plot was interesting and the constant shift between the present and various points in the main character’s past kept me on my toes. So why so engaging? I think because when I reached the end, although I thought I understood buttoned-up, emotionally desolate Edward, the final reveal made me revisit everything that had gone before. I would normally say that I felt cheated but it’s not that. Having read the introduction written for this particular edition by the author, I was relieved to see that she felt the same way. Old Filth was meant to be a standalone, a one-off but once she had finished writing it, she felt the urge to write two more linked novels and turn it into a trilogy. The second novel (The Man in the Wooden Hat) tells the same story but from Betty’s (his wife) point of view and the third (Last Friends), focuses on the retirement of all of the protagonist from Hong Kong to Dorset. I can’t wait to read the second, I feel as if there is so much more waiting for me. So once again, I add to the list of books I want to read when I have finished my current list of unread books! Hi Nicola,I just come across your blog and find your writings are so inspiring and thoughful. I enjoy reading them a lot. Sound a little bit odd, when I read this book, I have some doubts about the plots.Would you mind me asking you here or through email? Thanks a million! It’s so kind of you to help me out Nicola.As I fail to find your email, I just raise my doubts here. Do the pearls refer to “Betty’s famous pearls” appeared in the later chapter? Does the “days of terror” mean the mental breakdown of Filth after the death of Betty?